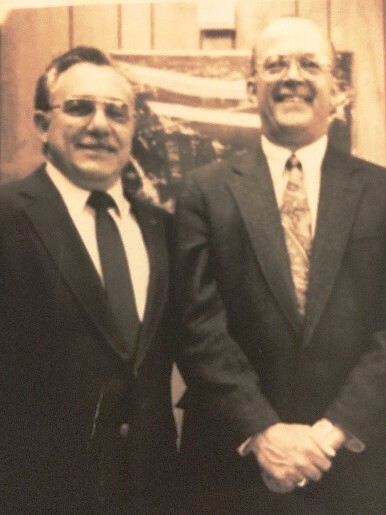 Metro Wire Rope Corporation was founded on November 21, 1977 by John F. Gibbons and Benjamin P. Modica, both pictured here. Metro is a full service wire rope and rigging products fabricator/distributor. We distribute products manufactured by industry leaders such as The Crosby Group, Gunnebo Johnson, Bridon – Bekaert, Wireco World Group, Casar, Kiswire, Peerless Chain and Liftex as well as many others. Our relationships with our vendors as well as other distributors give us the ability to service rigging needs nationwide. We service many industries including but not limited to steel erection, road construction, port cranes, elevator, scaffolding, waste management, utility contractors, OEM’s, steel production/distribution and lumber mills to name a few. Metro has been involved in many, many wire rope and rigging projects since our founding, some of which are on our website. We welcome the opportunity to service your wire rope and rigging needs.